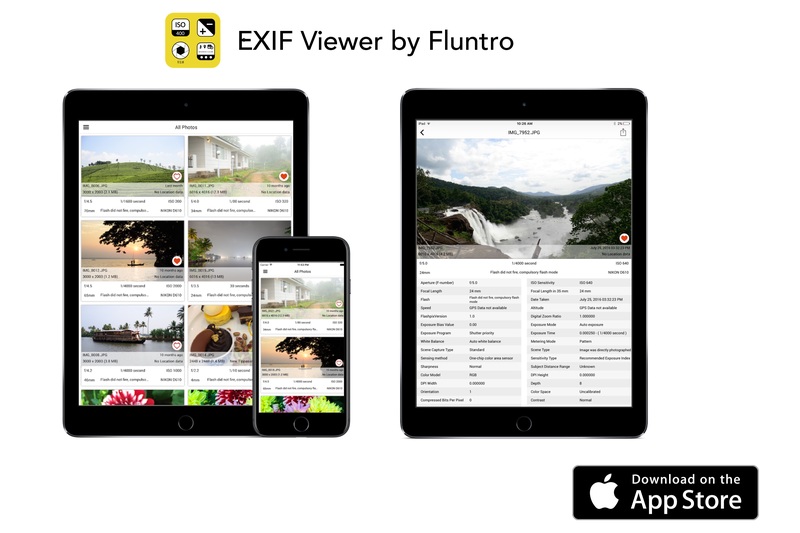 [prMac.com] Thrissur, India - Fluntro today is very pleased to announce that Exif Viewer, the company's popular photography app, is now free for a limited time. Exif Viewer is a beautiful and a well crafted iOS app for photographers and photo enthusiasts alike. The app displays EXIF metadata of any photo on any iOS device(s), Photo Stream or iCloud, including metadata tags for ISO, shutter speed, focal length, camera model, lens model, lens serial number, time stamp, aperture, shutter count and many more.